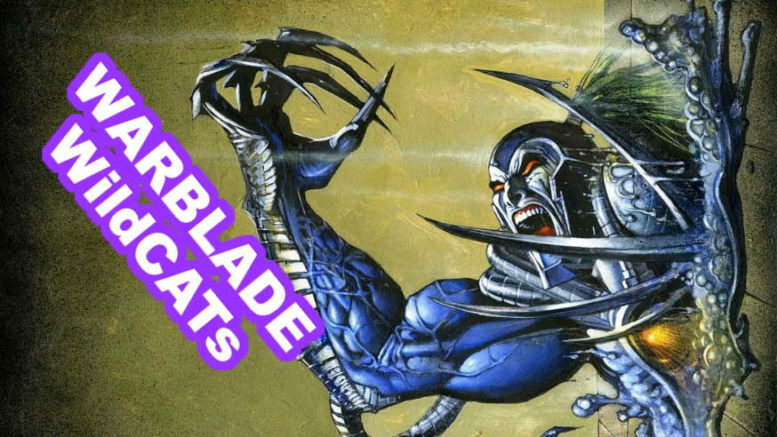 This video explores the abilities, powers, and origin of the Image Comics / DC Comics character “Warblade.” From Reno Bryce being a long green-haired artist who lost his parents to an alien Daemonite attack, learning various martial arts and fighting styles to seek vengeance against these invaders, being transformed into a living weapon by the Cyberdata organization, using the powers of his hybrid Kherubim physiology and bio-metallic shape-shifting to be an effective member of the WildC.A.T.s and S.H.O.C. teams, fights with teammates Misery and Ripclaw, losing his girlfriend Jules to an old WildC.A.T.s enemy named Pike, suffering depression and losing his powers and his hands, regaining his abilities and joining the New 52 Ravagers team of the N.O.W.H.E.R.E. organization, to his orders from team leader “Harvest” leading to his battle and demise at the hands of Deathstroke; Let’s take a look at this Image Comics and DC Comics superhero, and powerful Kherubim Warrior. This includes a short, canon character biography and my own opinionated “Sage Rating,” which I use to give ratings of comic books and science fiction characters.